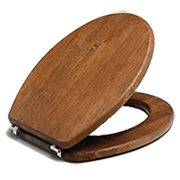 For both the handyman and the professional, Disper.com is the online plumbing shop, where you can find a wide variety of plumbing, heating and bathroom products, with special mention to the wc seats, one of our specialties! At Disper.com we strive day after day to offer the best customer service, expanding our product catalog to make it easier to locate the product you need. In our shop you can find the best variety of accessories for both the home, kitchen, bathrooms and other, for outdoor, as garden and irrigation products. Now enjoy the convenience of placing your order comfortably from the sofa and receive it at home directly to the address you request. Easy, simple and for the whole family. With more than 20 years of experience in the distribution of plumbing products, heating, air conditioning and bathrooms, we can provide more than 6,000 references in categories such as wc seats, taps, thermos, shower enclosures, air conditioning and renewable energies. Digital chronothermostat Weekly Radiofrequency "ZEFIRO"
1 196,69 € tax incl. Válvula Manual Escuadra M24x19 "POLARIS"
To offer plumbing supplies from leading brands such as Roca, Doccia, Ferroli, Mitsubishi Electric, Sauniver Duval, Siemens and Teka, among others, with the guarantee of the best product quality and support from leading manufacturers in the market. Our online plumbing shop is constantly updating the catalog, constantly searching for new models. Our reason for being is the continuous improvement and the eagerness to incorporate new models and brands within the sector every day. In DISPER.COM we address both the home client and the professional, offering exclusive products that are sometimes difficult to find. Our vision, position ourselves as a reference plumbing online store in Europe. Whether you are a handyman or a professional, at DISPER.COM we make it easy for you and we offer you the possibility of making the financed purchase for 3 months without interest. In addition, we offer secure payment methods for making purchases in a secure environment, through payment methods such as Paypal, Credit Card or transfer. 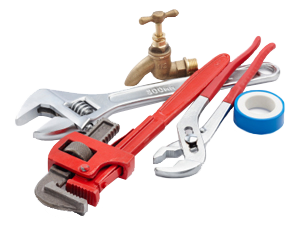 Although we are an online plumbing store, we are at the service of our customers on the other side of the screen. You can contact us by phone +34 967 67 46 38 from Monday to Friday. On our website you will find a wide variety of plumbing, heating, bathrooms and renewable products. Discover new developments in the sector such as aerothermy, biomass and solar energy components for the installation of renewable energy in homes, aimed at the construction trend of so-called smart houses, whose aim is the achievement of energy efficiency. In addition, you will find a wide variety of products in categories related to Kitchen and Bathrooms, two of the stays in the home where more plumbing supplies are required, from wc seats, taps, sinks and a long list of home articles.